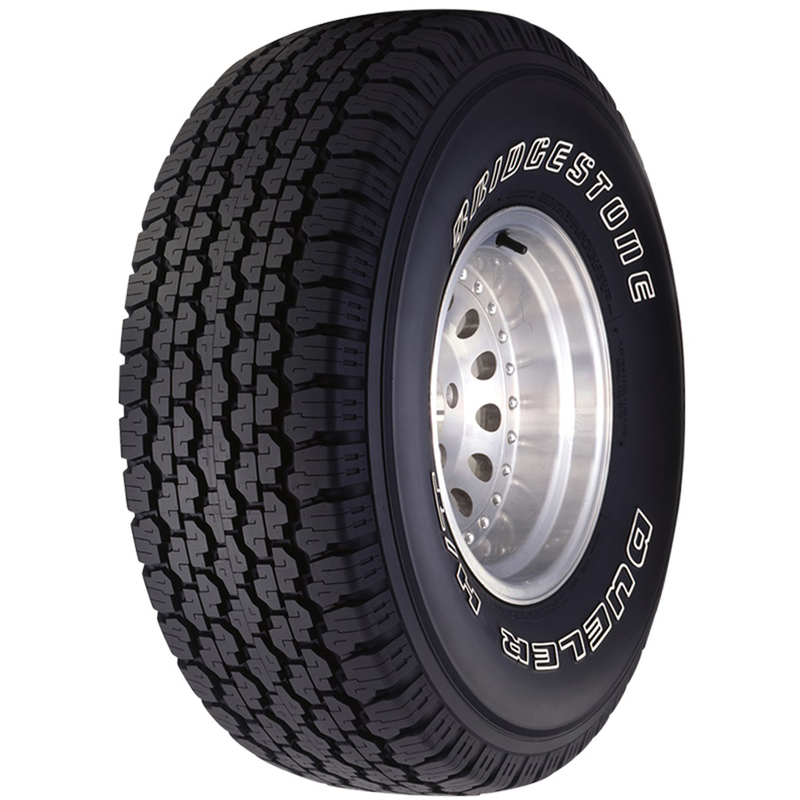 Bridgestone D689 is an ideal choice for multi-utility vehicles (MUVs) with its aggressive and rugged built. The MUVs require a stronger grip as opposed to conventional cars, and that’s where the independent blocks and zigzag main grooves of D689 come into play. The tyre durability is further enhanced with the help of the protector at the maximum cut risk area. The ongoing nylon wrap across the tyre yields uniformity of high calibre that betters the performance by helping the Bridgestone D689 keep its authentic shape even in rough terrains. The fit of the tyre to the rim is precise to the core due to O-Bead that elevates ride quality and comfort. Tread noise pattern is brought down; thanks to a halt in the development of harmonic noise patterns. The wet road performance is excellent at-par with superior durability. There is better traction and water dispersal via the LIGHTNING GROOVE tread pattern that provides a safer and more stable driving experience. The Flat Contact Patch design makes sure that side-slip is limited by holding the blocks flat against the ground maintaining safety and reducing uneven wear. Bridgestone D689 features high safety standards and better braking capabilities. It offers better fuel efficiency and its advanced tyre construction reduce rolling resistance. Its muscular looks complement the aesthetics of your MUV/SUV. Agile steering response is another advantage of this tyre that ensures smoother driving experience on long routes and in city limits. The tyre ensures quiet ride and even wear; courtesy the unique tread pattern and Flat Contact Patch design. It faces damp conditions with ease and provide seamless handling, braking and cornering performance. It tackles sharp corners without the fear of deformation; thanks to more squared off shoulders compared to ordinary tyres.